This tutorial demonstrates how to use Business Model	in Decisions . 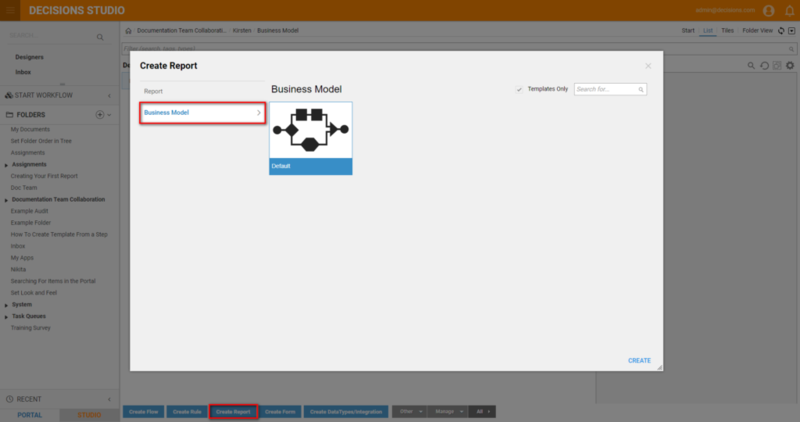 Business Model is introduced in Decisions 5.0 . 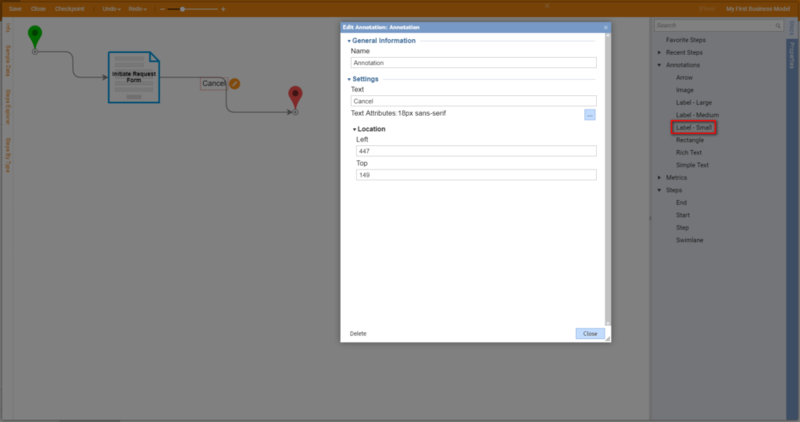 With Business Model in Decisions users are able to design visual workflow diagrams and use them for presentation purposes on the Dashboards . 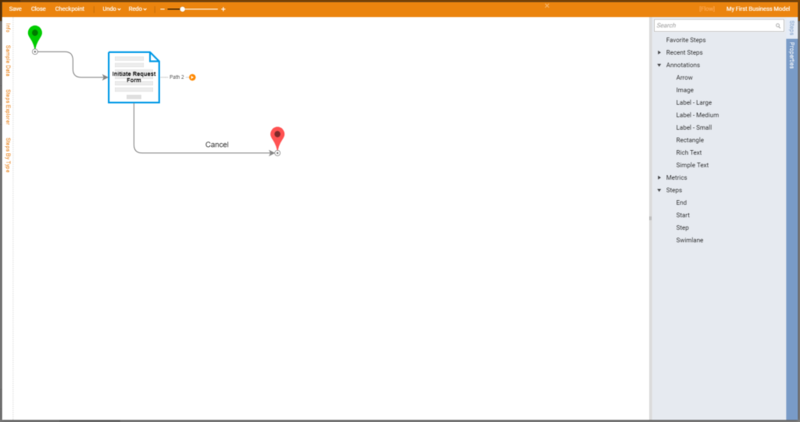 In this example we are going to demonstrate how to build a Business Model and use it on the Dashboard. 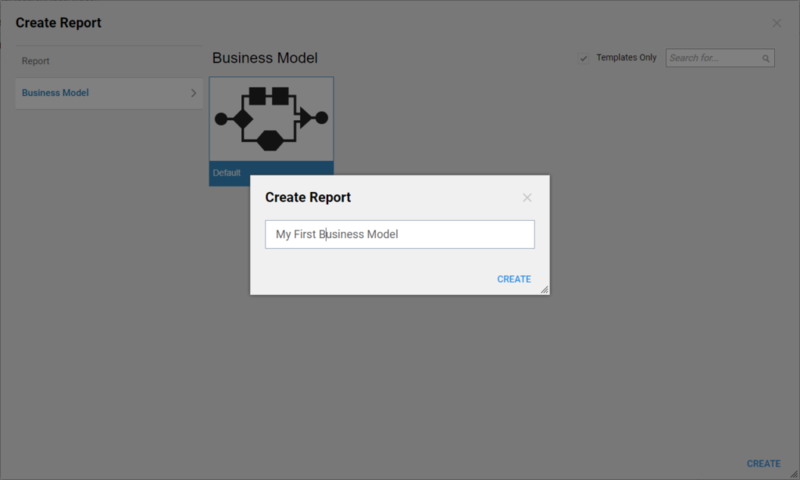 In the Designer Folder we click Create Report > Business Model	on Folder Actions Panel. Then, we name our Business Model and click CREATE	. 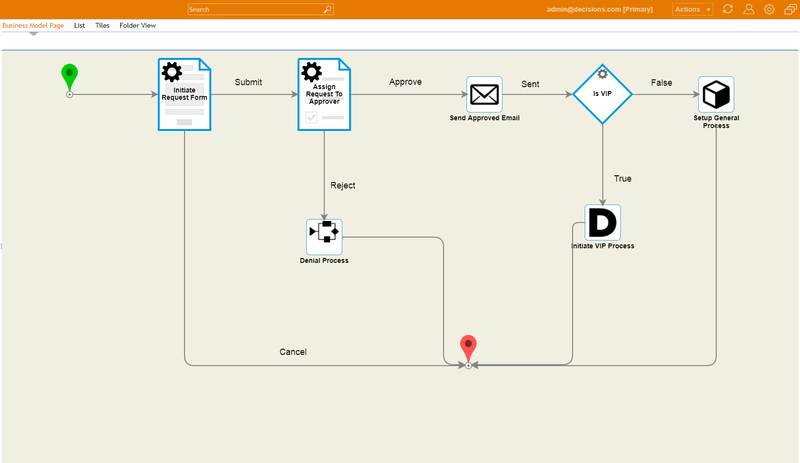 Business Models are built in a Decisions Flow Designer with limited steps and abilities. We drag Step	to the work-space and connect Start Step	. 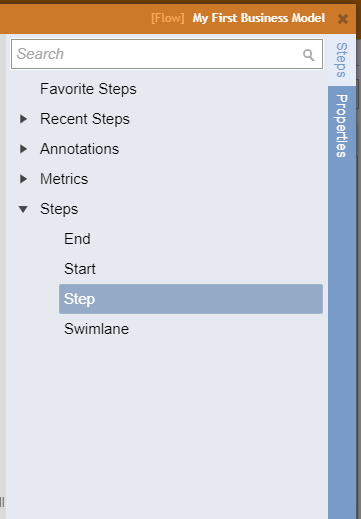 We can design a Step to look like we need in our Workflow model. First, we name our Step . Then, we click Shape Settings	editor. 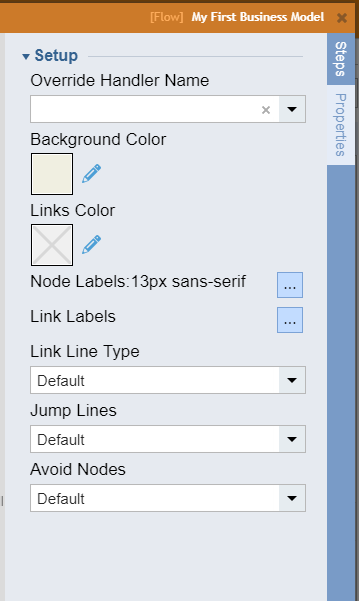 In the resulting pop-up window we can define Font Attributes	and different Shape	properties. 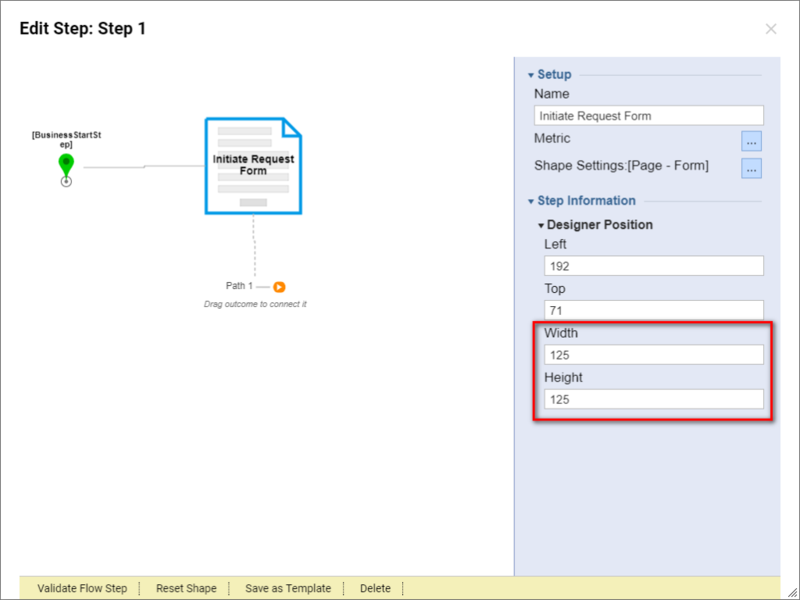 In the Shape Type	drop-down we select Page – Form	, then our step looks like a Form Step	on the Flow. 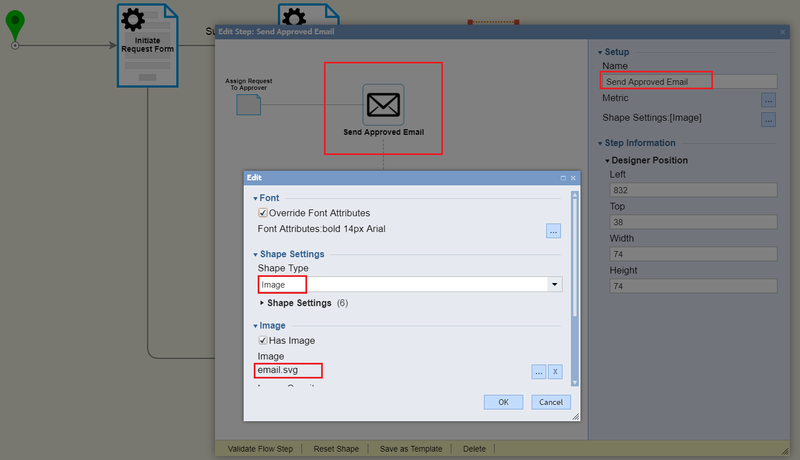 In the Designer Position	section we can adjust shape’s Width	and Height	. Next, we connect an outcome Path from theForm Step to the End Step . We use a Label Annotation	to indicate the outcome path Name,	this is "Cancel" in our model. Each Step in the Business Model can have any number of outcomes. If we hover over our Form Step , we should be able to see another outcome that can be used in the model. Also, we are not limited to pick our Shape Types	from the list of defined shapes in Decisions . If we pick Shape Type	Image , we are open to use any image for the shape. 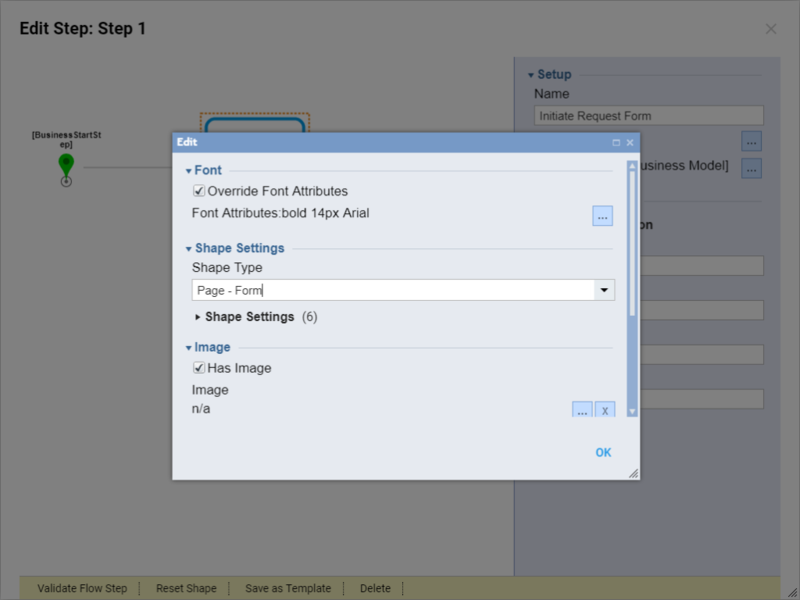 Then, we can adjust Shape Background, Border Color	and Border Width	to create custom Shape . 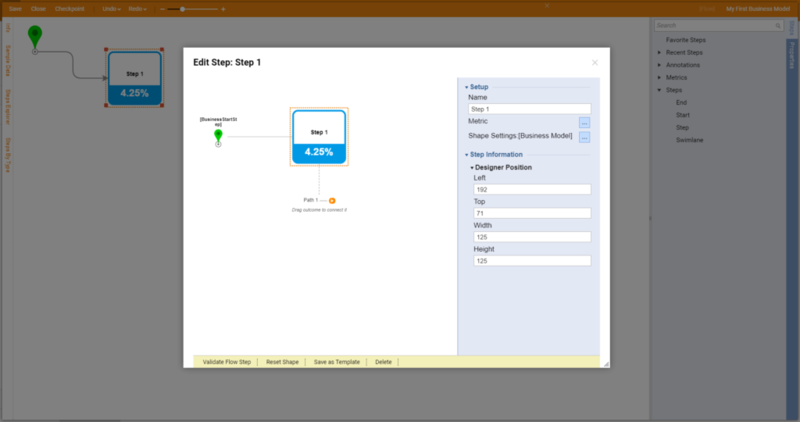 Finally, we can display our Business Model on the Page in Decisions . To learn how to build your first Page please click here . 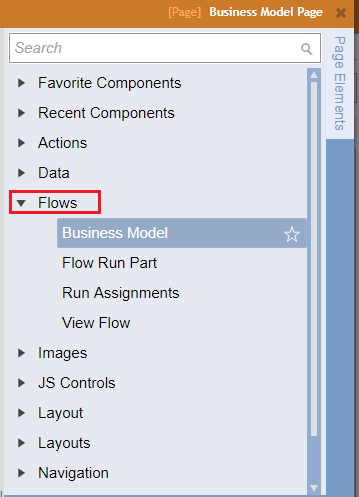 In the Page Designer	we locate Business Model	component in Flows	category and drag it to the work-space. 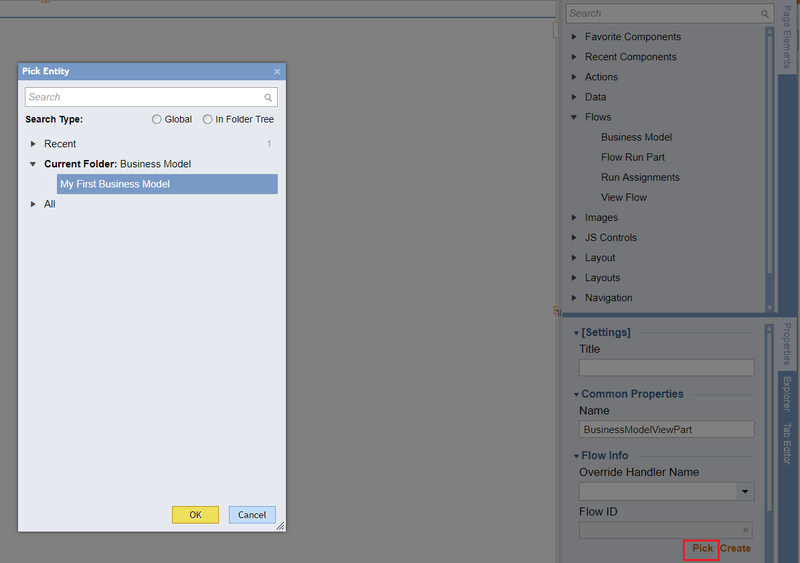 Then, using Flow ID	picker inBusiness Model component settings we select our Business Model. And our Page looks as following. Also, we can easily attach this Page	to the Folder . To learn how to do it please click here .